On Calth, a murderous killer is stalking the underground arcologies, leaving a trail of bloody corpses in its wake. As the Ultramarines hunt this killer down, it appears there is more to this killer than meets the eye. Has one of the Iron Warriors eluded capture and does he have something more sinister planned? I don’t think I’ve had as much fun with a short story as I had with this one. Together with The Iron Without (a nod to Rob Sanders’ short in Age of Darkness), this tale helped fill up the words needed for the Iron Warriors Omnbibus, which contained quite a few bits of Iron Warrior goodness. In the wake of The Chapter’s Due, Ultramar was in ruins, and the armies of Honsou and M’kar defeated. When I was writing the end of that novel I was torn between killing Honsou (and denying myself the chance to write more of my favourite bad guy) and letting him walk away. Endings between long-term antagonists are always tricky. It was Uriel’s book Honsou was appearing in, and he’d already survived one encounter with the captain of the 4th Company. To survive another without consequence would undermine both him and Uriel, so that couldn’t be allowed to happen. I’d given myself an Out at the end of The Chapter’s Due, what with Honsou’s underground borer being nowhere to be found and saying that a single Iron Warriors ship had escaped the vengeful Ultramarines. There. If I needed Honsou away and safe, there it was. But that didn’t really satisfy me. It felt to easy, too neat. Too wrapped up in a ball of convenience. Getting off Calth should be hard for Honsou. It should require him to be cunning and ruthless and bloody. All the things he excels at. So I came up with the idea that, yeah, he’d escaped the fall of Ventanus’s tomb, but that he’d been stuck on Calth. His plan of escape was, in essence, a two-fingers to the Ultramarines, a way of leading them on a merry dance through the caverns to chase shadows while he made his way back to the surface. 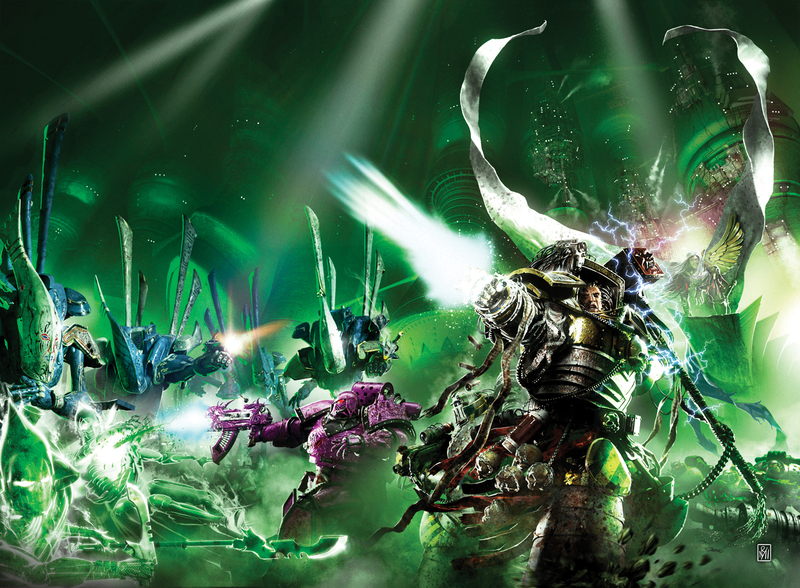 I normally write the Ultramarines as the heroes of their own books (not unreasonably) and this was a chance to show that they don’t always get it right, that sometimes their inflexibility can be exploited. 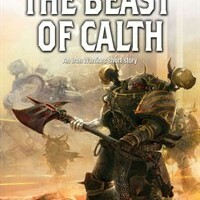 A few of the dialogue beats allowed me to plant seeds that will eventually bear fruit in the next Ultramarines novel, The Swords of Calth. So, Honsou is free of Calth (and, I suspect, Ultramar) so is it possible we’ll see him again. I certainly hope so, and I have a few ideas of how that might come to pass.